I found the subject for this painting on the quayside of a fishing harbour on the island of Corsica some years ago. 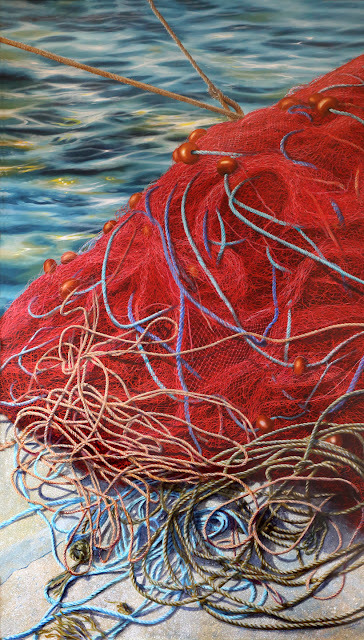 The contrasting colours of the net against the sea made a dramatic effect which appealed to me. 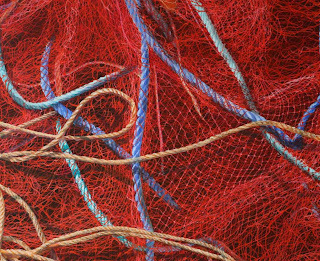 It was really a challenge though to keep track of all the lines, ropes, floats and the net. The underlying shadows of the criss-crossing lines help to give the impression of depth. You can see that some of the ropes are stiff from the salty water of the Mediterranean, so they don't fall in soft uniform curves but have their own stubborn will. If you look closely, the intricate network is tied and sewn together with small knots. The fisherman's patience for this tedious, time consuming work must have been far greater than mine when I painted it all. This is lovely - a great example of how a small detail can work better than the grand vista. Don't know how you managed all that detail though. Do you keep track of how long it takes you to complete a work? This is really extraordinary. 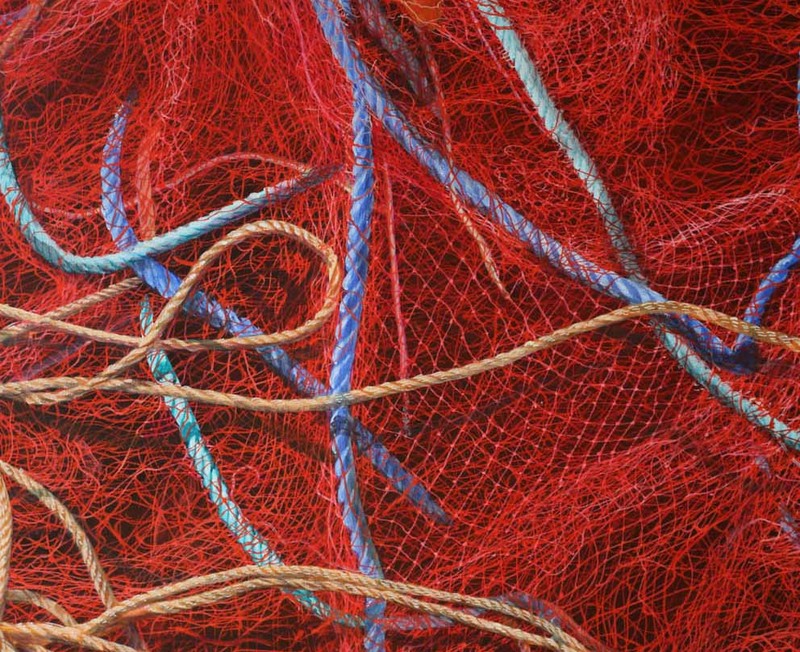 The composition is clever as well as the idea of painting a fishing net. Beautiful and very realistic work.